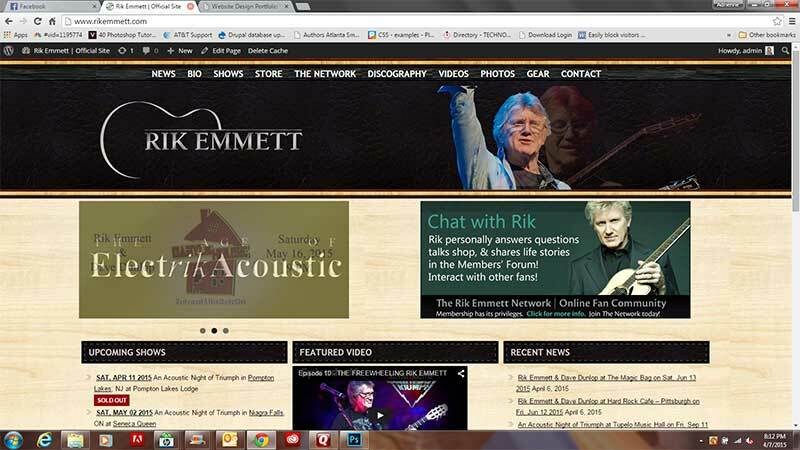 Official website for former “Triumph” front man Rik Emmett of Toronto, Canada. Recycled design elements with complete rebuild of outdated and insecure website infrastructure. WordPress with centralized plugin management. 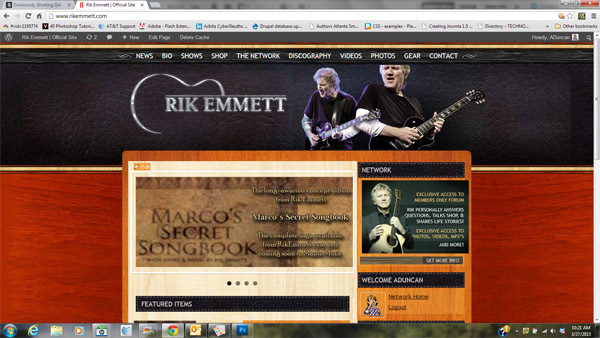 Customized e-commerce for downloadable music and books, integrated with subscription membership management. Membership integrated with separate phpBB bulletin board allows for single registration and sign-in to both WordPress and phpBB; bulletin board information displayed within WordPress private pages. Webmaster Services: SDOC provides all hosting, email, content updates, ecommerce store management, customer service requests, MailChimp-based email marketing, basic accounting of sales via PayPal reporting and worldwide online music distribution via TuneCore. Learn about the website development process on the blog.